RUSH: I’m gonna tell you, folks, it really is getting to the point where you ought not believe anything. Sadly, that will never happen, but I wish it could. 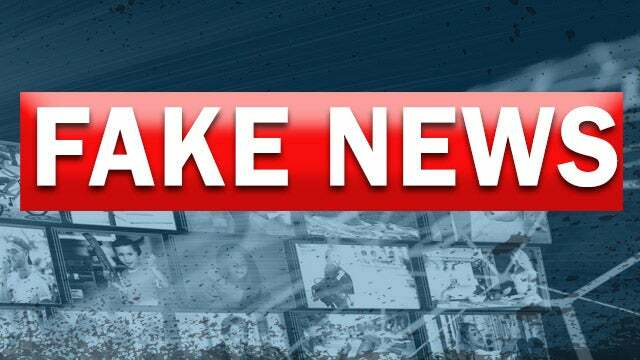 I wish we could get to the point where every one of you and everybody else reading the New York Times, watching CNN, wherever, NBC, ABC, CBS, just did not believe what they said. 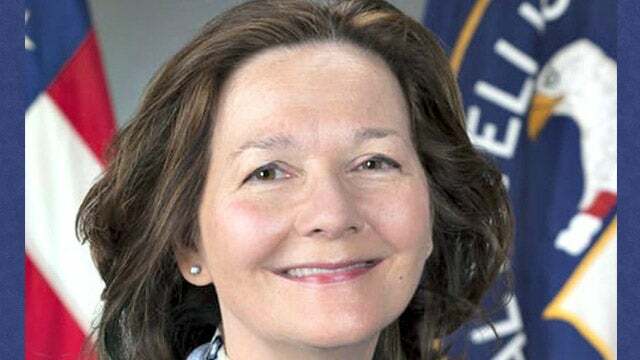 The most recent glaring example, how many of you after the Trump nomination of Gina Haspel to become the director of the CIA, how many of you think that she ran a CIA black site in Thailand over which she supervised the torture of terrorism suspects, including approving of and administering waterboarding to a terrorist by the name of Abu Zubaydah or Zubaydah or Abu Abu, whatever, for over a year, and that she was single-handedly the face of torture in the CIA and there is no way this woman should be hired. How many of you think that that is true? Everybody in the media reported it. Well, guess what? It isn’t true and the original sourcing has been corrected. ProPublica, which is itself an extremist radical left-wing — think of it as an open source news organization that’s largely funded by George Soros, ProPublica has retracted its report that Trump’s CIA pick oversaw waterboarding of Abu Zubaydah in Thailand. In fact, ProPublica had to draw it all back. They’ve had to issue the correction: Not only did she not oversee waterboarding or torture in Thailand, she wasn’t even there. They were reading a book, and they assumed from the book that it was Gina Haspel, so they’ve withdrawn it. They’ve corrected it. Go to Google News and see if you can find this correction anywhere in the listing of stories. You will not, at least an hour ago. 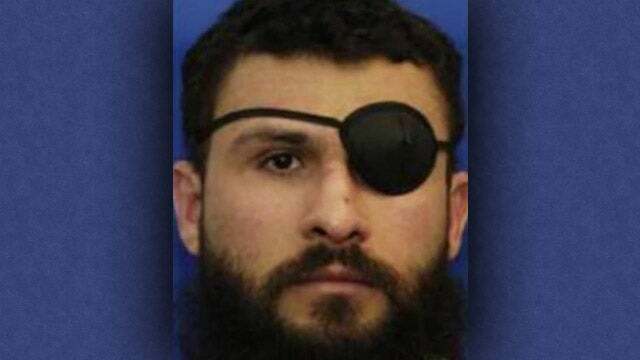 If you Google search “Gina Haspel, slash, torture, slash, Thailand” you’ll find the stories are all over the place from everybody, that she was there, that she administered the torture, that she loved it, that she mocked Zubaydah, and that she waterboard him 83 times. The ProPublica correction has not been inserted into the search results that you will get on Google. And this is standard operating procedure. This is how it’s done. You initiate the lie, you put the lie all over the world, and, if necessary, you retract it, sometimes a day later, two days later; but whenever you do it, nobody pays any attention to it. “No. Never have. In fact, it’s illegal to do business out of your home where I live. There’s a city ordinance dating back to 1903 that says you can’t do it.” We all still get it all the time. And you know, it appeared once, it appeared in Page Six in the New York Post, John Mainelli is the source for it, knowing it wasn’t true and knowing that there was an ordinance here. That leak was designed to get me in trouble with the town of Palm Beach. They were supposed to have inspectors now coming to my house demanding entry to see if I was secretly doing my program from there. Never did! I said, “No. And why is that interesting?” I wanted to know, why is that interesting. I said “No. I purposely want to get out of there and go to work.” So something that ran once, and it might have been picked up. I think it was. It became a miniature controversy back then because it was a way of somehow getting me in trouble with the authorities. And people still think it. And it’s something they may have read years ago, and they still think it’s true. So this ProPublica piece, this correction, nobody’s ever gonna see it, so everybody that’s heard anything about this story believes this woman is an advocate of torture and likes it and laughs about it and mocks the victims and loves waterboarding, when it turns out that the whole thing is not true. That is how you can have a sea change. That is how you can have a nation filled with miserable people, with people that are pessimistic, depressed. If all they do is pay attention to the news every day, that is going to be the outcome. Oh! So not only is this woman evil you-know-what, women in general, when they head up spy organizations, they’re worse than any man could ever be. “Women who are true believers, they’re the psychopaths,” is the quote. So now she’s a psychopath, any woman running the CIA, you do not want to get captured by this babe, you do not. All of this is out there after the correction has been published. Meanwhile, if you go to the grocery store, I’m told, because I don’t, but if you go to the grocery store at the check-out, stand by the cash register, every magazine’s got The Oprah on the cover in her disguise or her wardrobe for this failed movie that she’s in. And this is how they’re gonna be pressuring her to run for president. Every magazine’s got The Oprah on the front. If Obama were president, had nominated this woman, Gina Haspel, to be at the CIA, she would be all over these magazines, and we would be getting stories about how forward thinking Obama is and how the CIA is only gonna be better now with a woman being put in charge. But since she’s been nominated by a Republican and by Trump, she is evil incarnate. I’m so stick of this stuff, I’m at my wits’ end. RUSH: Now, look at this in the Washington Post. Sixteen hours ago, the ProPublica correction on Gina Haspel saying that she did not oversee torture in Thailand. She didn’t run the black site when Zubaydah was there — and, in fact, she wasn’t even there. When whatever was happening to Zubaydah in Thailand was happening, she wasn’t even there. The correction has been issued. Washington Post: “Feinstein Calls on CIA to Declassify Documents Detailing Haspel’s Ties to Torture Program.” See how this works? They put a blatant lie out there, and it sizzles and effervesces and bubbles up and reaches the mainstream and then when it’s wrong — blatantly wrong, sometimes. It doesn’t even happen very much you got a correction, but they did. The correction is being ignored, and there’s Dianne Feinstein asking for a declassification of documents to find out what this evil woman did. And now we’ve got stories where men CIA and foreign agents are telling each other, “You don’t want any part of a woman-run CIA! These women are… Women that reach that position are psychopaths,” and these are a bunch of leftists, folks. These are leftists, the supposed feminists, the supposed people sensitive to women’s issues. The #MeToo movement. The women being supported by all these guys opposed to sexual harassment and stuff, and all of a sudden now this woman is a psychopath, this woman engages in torture, laughs about it, smiles about it, enjoys it. And none of it is true. But that’s not even the worst of it. Well, actually that is the worst of it. But I want to, without having to hurry through it, make the point that I made earlier. At your average supermarket today when you go to check out where they have all the magazines — and there are not just two or three times anymore. It’s not just the National Enquirer and the Weekly World News. You’ve got interminable numbers of these magazines, and right now they’ve all got The Oprah on the cover, or 80% of them do. And she’s decked out in the costume that she’s in in this failed movie of hers. What is it, Wrinkle of Time, Wrinkle in Time, Wrinkle by My Time? Whatever it is, it’s a failed movie. It didn’t do any business. Everybody thinks it’s racism. Of course… (interruption) “Wrinkle in Time.” Right. Didn’t do any business, but Black Panther did. Yet it’s racist that Oprah’s movie’s not succeeding. Of course, there’s a big push for The Oprah to run for president on the Democrat side ’cause they don’t have anybody else. While this woman, Gina Haspel — who has devoted her life to defending and the protecting of people of this country — is being savagely destroyed over a lie. If Obama had appointed this woman to head up the CIA — which, by the way, would not have happened. But had he done it, this woman would be the one on all the magazines. This woman would be the subject of profile puff piece after profile puff piece. And Obama would be given all kinds of credit for forward thinking and being able to put a woman in a position like this for the very first time ever, and it would be a sign of how progressives are actually moving America forward into the 21st century. But now that it’s Trump that’s appointed her, she is a psychopath. She’s dangerous. She likes torture! She’s not good for America. Just stuff like this… It makes me so mad; it makes me so sick. And the only way I can think to get around this is the education of the American people, ’cause we’re never gonna stop the media. They’re just incorrigible. They do this on purpose. This is not a mistake. These are not mistakes. They’re not accidents. They are not the result of the media being impatient. This is done on purpose! The media, the Democrat Party are on a search-and-destroy mission, and their targets are everybody who disagrees with them. They’re not interested in debate. They’re not interested in coming to a common understanding. Their objective is the elimination of opposition, the elimination of those who simply disagree with them. And it’s happening on college campuses. It’s happening in high school classrooms, middle school. It’s happening in the Drive-By Media. (Printed AFTER the Retraction) Daily Mail: She looks like a favorite aunt. But Is 'Bloody Gina', the Woman who Could Be the Next CIA Boss, up to Her Eyeballs in TORTURE?